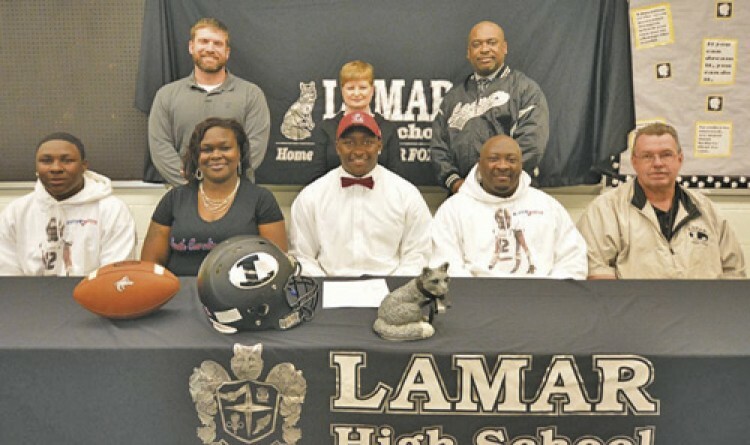 Lamar High School senior Jeblonski Green signed a national letter of intent Tuesday to play football for South Carolina State University. The star linebacker and fullback helped guide the Silver Foxes to three consecutive Class A state championship appearances from 2015-2017. Lamar won the title in 2015 and 2017. Green totaled 67 tackles, including five for a loss, two sacks, four fumble recoveries, an interception, two blocked punts and two touchdowns for the Silver Foxes’ defense in 2017. He also carried the ball 44 times for 379 yards and three touchdowns, and he caught 10 passes for 144 yards and another pair of touchdowns this year.